Happiness is already here in this moment, just waiting to be discovered! 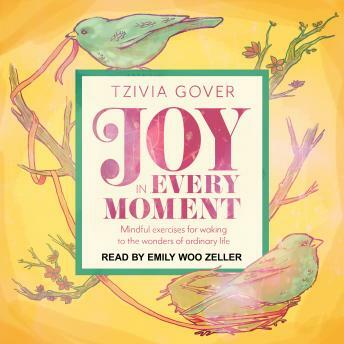 Mindfulness expert Tzivia Gover offers an inspiring treasury of small, creative ways to shift your perspective and uncover surprising bits of joy over the course of your day. Whether you're making dinner, commuting, exercising, working at the computer, or brushing your teeth, every moment of your life offers an opportunity to uncover happiness. Short essays are accompanied by practical exercises to try. This is the perfect gift for anyone who wants to increase their daily experience of joy.